W. David (“Dave”) Jester has served as a Director with the firm since 1999. With his life experience as a background, Dave has a unique ability to empathize with the concerns faced by his clients in litigation and to attack the defense of those cases while keeping those concerns at the forefront. He excels at analyzing cases at inception and working with clients to ensure cost effective and appropriate resolution of claims. The skills he developed before he became a lawyer serve as a guide for his practice today and benefit those he has the pleasure to represent. Dave’s practice includes general casualty defense litigation, worker’s compensation, labor law and unfair labor practices, products liability, malpractice litigation, construction defect litigation and real property law. Dave has litigated for almost three decades representing general contractors, subcontractors employers, doctors, lawyers, dentists, nurses, nursing homes, product manufacturers, product distributors, specialty subcontractors, civil, electrical, mechanical and structural engineers as well as architects. He has defended multimillion dollar class action cases involving professional malpractice and personal injury claims. He also serves as consulting counsel on class action litigation. He has argued appellate cases before various appeals courts in Florida and Alabama and served as an Umpire, Appraiser and Arbitrator in both states as well. Dave is admitted to practice before all state and federal courts in Florida and Alabama, and the United States 11th Circuit Court of Appeals. 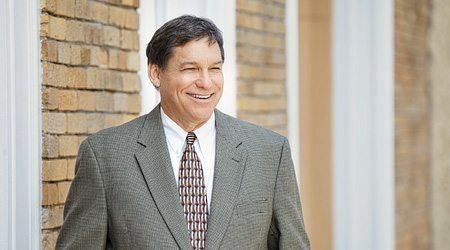 He is a current member of the Florida and Alabama State Bar Associations, the Escambia and Santa Rosa County Bar Associations and the Mobile Alabama Bar Association. Dave has held an “AV” rating (both from the judiciary and his lawyer peers) from Martindale-Hubbell, the highest rating for attorneys for many years. As a result of excellence in his practice, Dave has also been recognized as a nationwide Lawyer of Distinction and a Top Lawyer. Dave is a licensed general aviation pilot who uses his own aircraft to travel throughout Alabama and Florida for his practice. He is a published author and is a frequent lecturer on legal matters, including construction defect litigation, labor law, products liability, aviation law and professional malpractice. Dave received his Bachelor of Science Degree from Troy State University and his Juris Doctorate Degree from the University of Florida. While in law school, he was a member of the University of Florida Trial Team and participated in national trial competitions. He served honorably in the United States Army and was a Deputy Sheriff/Investigator in Escambia County, Florida before he began to practice law.